So, what’s the point of implementing a corporate wellness program? Is it about building company culture and togetherness? No, at the highest level, corporate wellness is about having healthier, more productive employees. On the most practical level, it’s more about minimizing costs and workers who get more done with less friction. Savings is a worthy goal, so is productivity, but creating a program that matches long-term benefits against short-term costs is a difficult thing to achieve. In theory, fitter workers should yield higher levels of productivity. While healthcare costs generally bill you in yearly chunks, quantifiable wellness improvements might take years to attain. The concept of corporate wellness holds that investing in healthy activities for employees will reduce the cost of caring for them in the long term. It is a big-picture approach that attempts to use fitness activities to improve the lives of workers and maybe get back a higher return in the form of improved productivity and creativity. Additionally, workplace wellness has to include insurance providers because it’s all about promoting health for the sake of minimizing the cost of insurance. Corporate wellness is an ideal that is difficult to achieve; some would say impossible. However, if you can make organizational changes happen, a well-designed corporate wellness program could be a positive addition. How Well Does Wellness Work Out? There are many things behind the rising cost of health care. I’m not going to attempt to jump on that raging bull of a topic on the Gym Insight Blog. Any wellness program has to align with the company culture and values to be successful. There has to be genuine buy-in at many levels of the organization. In a practical sense, it also requires a willingness to look at evidence honestly and change course when things don’t work out. A study quoted by Club Industry in February 2018 found that there’s no link between wellness and healthcare cost savings. Other studies have found that some corporate wellness programs have been successful. The program at the Breakers Palm Beach Hotel in Florida is a documented case in point. The success of wellness programs depends on how they integrate into the business and the work activities of employees. The critical factor is the attitudes and approaches adopted by management. It might be hard to provide corporate wellness as a service because you can’t just bolt it onto an existing culture; it has to be a core value. So if you think there might be a niche in wellness for your gym, it might be worth stepping back and recalculating. It is likely to be more of a consultancy role that works for you. Apply your knowledge of fitness in such a way as to get buy-in from the key personnel. Get the initiative going within your client company. Align with the company purpose and precipitate a culture shift that resets the narrative. If your company is considering a wellness program, that is outstanding. It’s like any other attempt at transformation, and it has all of the risks and traps of other change initiatives. The most fundamental questions you can ask about the initiative are about how the company has fared in previous changes. If there have been successful reboots of any kind, they are encouraging signs of how your company culture adapts to change. If you’re a trainer or fitness business owner considering helping from the outside, the risks of providing a service or consulting are many times higher. If past efforts to change have resulted in wasted investments, tears, and bitter recriminations, they’re likely to do so again. As a gym owner, as your business grows, you might want to include a wellness program. You might be tempted to consult on client programming on behalf of brokers who wish to offer it as part of their health coverage. You might even choose to work directly with companies as a service provider. Implementing client programming for a corporate wellness scheme might be a niche for a very talented fitness consultant. You are going all in on the adaptive challenge of an institutional change initiative. So the plan will depend on the agreement of many parties and a culture that is flexible enough to make changes work. Aldana, Steve. How Brokers Are Offering Wellness Programs In The Workplace. 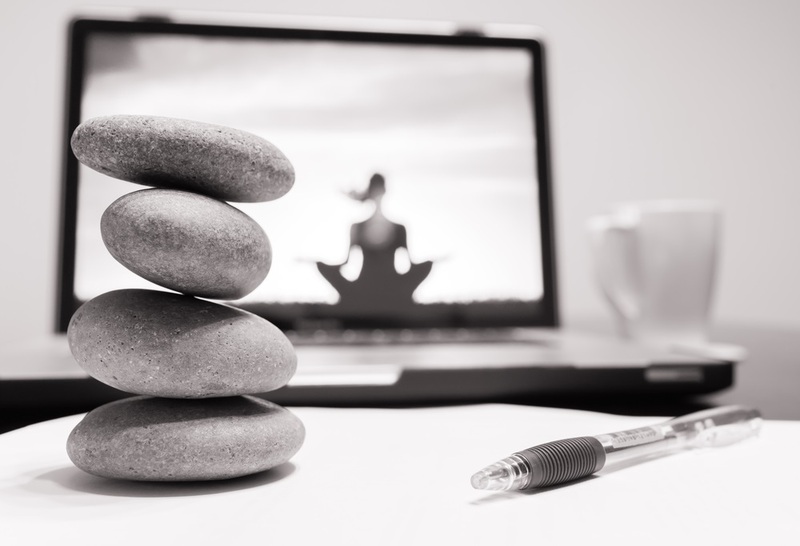 January 10, 2018. https://www.wellsteps.com/blog/2018/01/07/wellness-programs-in-the-workplace/ (accessed October 6, 2018). De La Torre, Hector, and Ron Goetzel. How to Design a Corporate Wellness Plan That Actually Works. March 31, 2016. https://hbr.org/2016/03/how-to-design-a-corporate-wellness-plan-that-actually-works (accessed October 6, 2018). Fagan, Lawrence. Complementary Client Programming For Fitness Club Owners. September 9, 2018. https://blog.gyminsight.com/5133-complementary-cl…ness-club-owners/ (accessed October 6, 2018). Kufahl, Pamela. Study Sheds Doubt on First-Year Benefits of Corporate Wellness Programs. February 15, 2018. https://www.clubindustry.com/trends/study-sheds-doubt-first-year-benefits-corporate-wellness-programs (accessed October 6, 2018). Stringer, Leigh. Not All Workplace Wellness Programs Are Corporate Shams. April 6, 2018. https://slate.com/human-interest/2018/04/heres-what-makes-workplace-wellness-programming-really-work.html (accessed October 6, 2018). Wein, Debra. Win With Wellness: A Great Culture Helps Bring Clients To Your Door. November 16, 2017. https://www.forbes.com/sites/forbesbusinessdevelopmentcouncil/2017/11/16/win-with-wellness-a-great-culture-helps-bring-clients-to-your-door/#515f29291aa5 (accessed October 6, 2018).